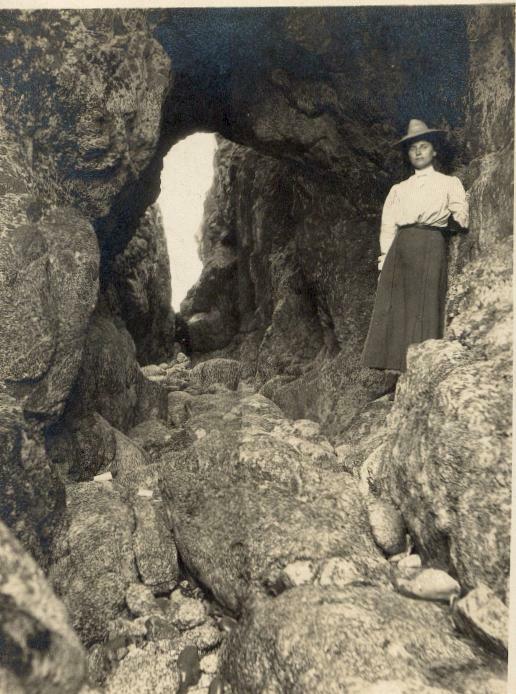 Coastside Caves: You can imagine that during the 1920s, the Prohibition Era, illegal whiskey was hidden or moved through this Moss Beach cave, where the lady in the first image is posing. 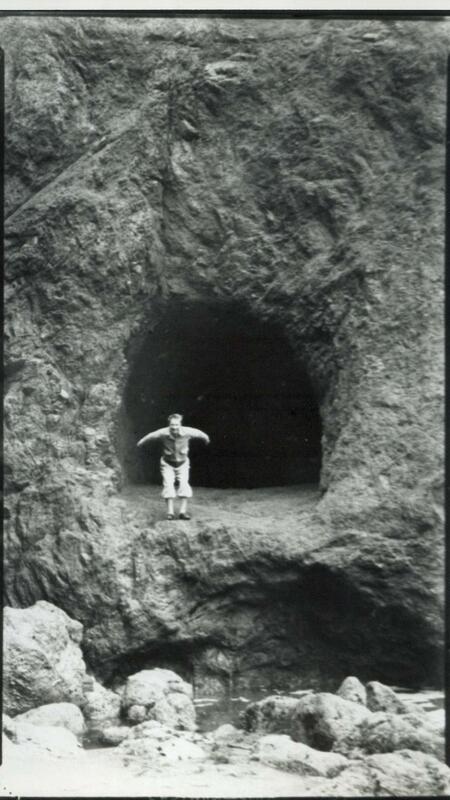 Or, maybe this tunnel-like cave was a connection between the sea where the booze was sometimes dropped off and one of the roadhouse restaurants in Moss Beach. I was once told that the fellow in the “bird flying” position, center photo, was Fred Simmons, former constable of Half Moon Bay in the 1940s, and, I mention Simmons in my ongoing Montara murder story (“Babes in the Woods”case). I actually met Constable Simmons when he was in old age and quite a character. 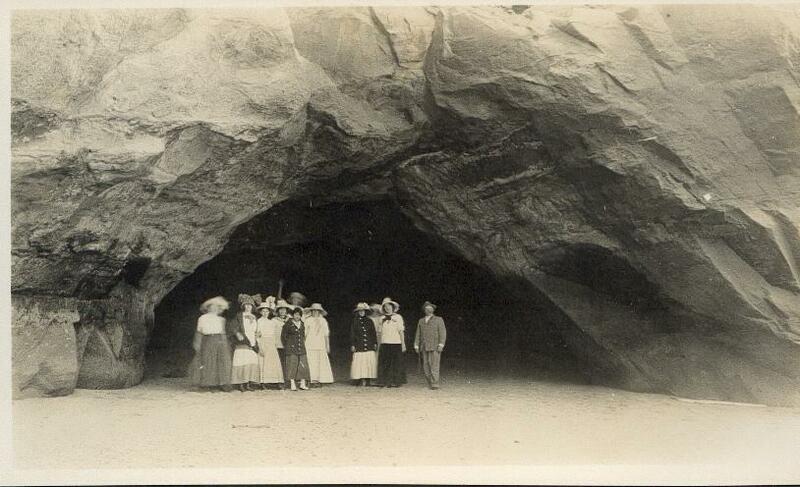 After his death, Simmon’s home in historic downtown Half Moon Bay was used as an art gallery. Next PostNext Gold: It’s Up, It’s Down, What’s Going On?